Below you can view all the homes for sale in the Chapparal subdivision located in Centennial Colorado. 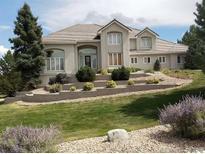 Listings in Chapparal are updated daily from data we receive from the Denver multiple listing service. To learn more about any of these homes or to receive custom notifications when a new property is listed for sale in Chapparal, give us a call at 720-924-7403. This is a pool and tennis court community with a very low HOA! MLS#4012250. RE/MAX Professionals. Minutes from Regis High School, along w Award Winning Cherry Creek Schools, DIA, Southland's Mall and Parker Adv. Hospital! MLS#9091177. RE/MAX Professionals. Note the two half baths on the main floor, one for the guests and one for your kids! MLS#6515446. RE/MAX Professionals. Attic Fan. Central Air. Newer Carpet. MLS#8337888. CENTRON REALTY.